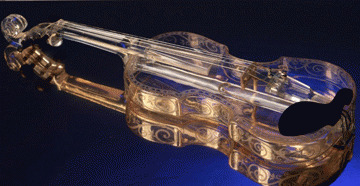 Dean Shostak makes his music on a menagerie of glass instruments. His Crystal Concerts feature the only set of glass hand bells in the world, and a glass violin that is one of only two in the world. Shostak began his musical career at age 14, playing violin in the Music Teacher's studio in Colonial Williamsburg. Featured on "All Things Considered," "The Early Show," CNN, and HGTV, he is best known for his performances on the glass armonica. 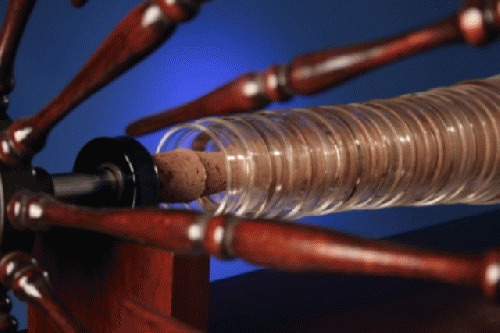 Shostak notes that Ben Franklin invented the glass armonica in 1761, inspired by a musical performance on partially-filled wine glasses, which he attended in England. Captivated by the mesmerizing sound, Franklin was inspired to "(dispose) the glasses in a more convenient form, brought together in a narrower compass, so as to admit of a greater number of tunes and all within reach of hand to a person sitting before the instrument." He developed a series of glass bowls tuned by size and mounted one inside the other on a horizontal axle driven by a flywheel attached to a foot treadle. 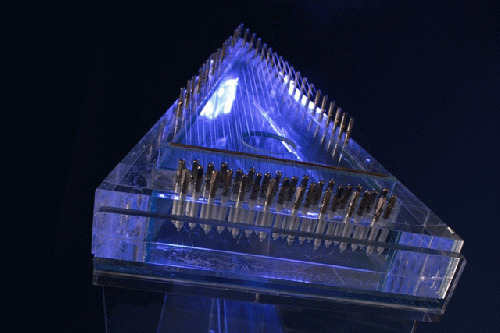 This effectively created a rotating glass keyboard that could be played with moistened fingers. The arrangement offered the freedom to create richer and more complex music than the standing wine glasses. Franklin called his invention an armonica after the Italian word for harmony, and the instrument enjoyed immediate and vast popularity. Marie Antoinette took lessons on it, and Dr. Anton Mesmer used it in his work with his patients. Mesmer introduced the instrument to Mozart, who wrote music for it, as did Beethoven, Richard Strauss, Haydn, and Saint-Saëns. Paganini said the music of the glass armonica was "a celestial voice." Thomas Jefferson called it, "the greatest gift offered to the musical world of this century." Upon hearing Franklin play the instrument in Philadelphia, the poet Nathanial Evans called it, "celestial ravishment" of the ear, and "a pure transcendent sound divine." 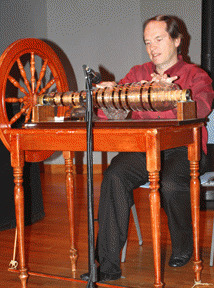 Robert Carter, an avid musician and one of the richest men in Colonial Williamsburg, owned a glass armonica. It is recorded that George Washington attended a concert at the Raleigh Tavern on New Years Eve, 1764, where Carter's armonica was played by Bruton Parish Church organist, Richard Pelham. But just a few decades later the glass armonica had disappeared from popular culture. A variety of mysterious illnesses struck the players of the instrument including loss of feeling in their hands and nervous breakdowns. Frightened, people became superstitious about the unusual tones, and by the 1830's the instrument had vanished. The strange maladies may have been a result of lead poisoning from paint applied to the bowl edges, and the lead content of the glass bowls, since some armonica players moistened their fingers on their tongues. Like Rip van Winkle, the armonica slumbered for over a century, until 1984 when master glassblower Gerhard Finkenbeiner of Boston revived the art. He made the bowls from lead-free quartz with pure gold on the inside to color the rims. The cost of each bowl can range from $250 to $2000, depending on its diameter. Shostak's armonica includes 29 bowls. 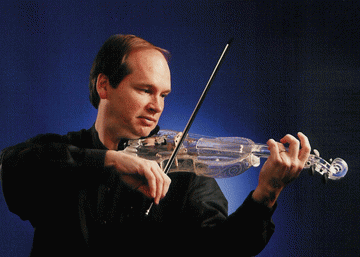 Shostak's multi-media Crystal Concert introduces audiences to a showcase of glass music, art, history, and science. At the Virginia Beach concert I attended, sponsored by the Tidewater Friends of Folk Music (http://www.tffm.org), he demonstrated several glass instruments, including the glass psaltery. 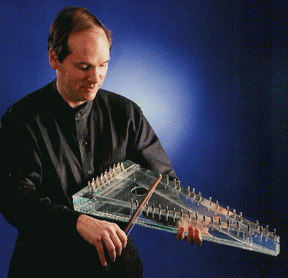 The traditional bowed psaltery is a triangular string instrument played with one or two bows, and when Shostak wondered if it might be possible to make one using common plate glass, he found Jim Doble, creater of plate glass percussion instruments. Doble agreed to experiment with the idea, and Shostak says, "the result was beyond my expectations!" The sound produced by glass instruments has a cosmic resonance and mesmerizing tone that is delightful at any time of year, but is especially well-suited to Christmas music. Shostak's concert offered several traditional carols that delighted his holiday audience with their heavenly tones. The traditional Christmas music played on the glass bells sounded especially divine. Shostak also performed several tunes on a non-glass, "pocket" fiddle, including melodies that Davy Crockett is believed to have played. Shostak's CD, Davy Crockett's Fiddle, features Davy Crockett's 1819 fiddle, borrowed from the Whitte Museum in San Antonio. The music is from Crockett's era, 1786-1836. 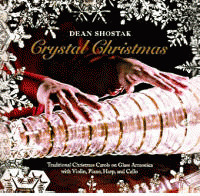 Shostak's CD Crystal Christmas includes enchanting renditions of traditional holiday favorites translated through glass. 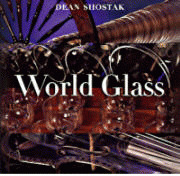 His latest recording is World Glass, a delight which showcases all the glass instruments in his Crystal Concert, including the glass armonica, the glass violin, the crystal handbells, the cristal Baschet, and the glass bowed psaltery. It is an eclectic blend of music by Bach, Mozart, Handel and Beethoven as well as traditional Irish and English tunes, modern Japanese music, and Shostak's original compositions. His Glass Armonica CD/DVD set includes a full CD of music plus an excellent DVD which includes an interview with Shostak and one with G. Finkebeiner, Inc., Glass Armonica Makers. It also includes Shostak's magical performance of Saint-Saëns' Aquarium from the musical suite, Carnival Of The Animals, as well as his appearance on Mr. Rogers' Neighborhood. Shostak was the last guest on Mr. Roger's Neighborhood before the show ended, and he performs as well as teaches Fred Rogers to play the glass armonica. The DVD also includes a charming animated feature about the beginnings of the glass armonica, entitled The Angelic Organ. 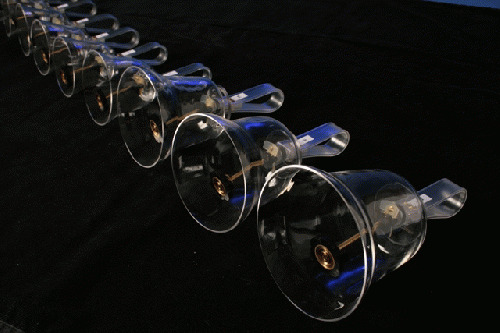 The music that sings through a glass armonica is other-worldly, a celestial harmony that is soothing and mystical. It is the sound that is closest to what I felt and heard during a near-death experience decades ago, and hearing these tones in a live concert is an inspiring, soul-tingling event. 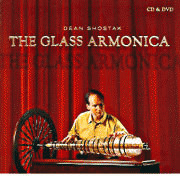 Shostak is one of less than a dozen glass armonica players in the world. He gives over 200 concerts annually at The Kimball Theatre on Duke of Gloucester Street in Merchants Square, Colonial Williamsburg, each one provides a dramatic finishing touch to a visit to the historic complex. For information on Shostak's Crystal Concerts in Colonial Williamsburg call 1-800-HISTORY. View All 16 Articles in "Music"